You may be confronting a certain relationship situation with more intellect than is necessary, which is giving an aura of being defensive. Start with your feelings and you will make a lot more sense to people. Ask them about what they think is the right way to handle the situation, and then modify their strategy. 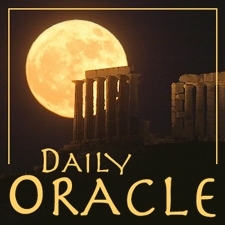 Today’s Oracle takes us to the Libra weekly for April 18, 2008. You may be confronting a certain relationship situation with more intellect than is necessary, which is giving an aura of being defensive. Start with your feelings and you will make a lot more sense to people. Ask them about what they think is the right way to handle the situation, and then modify their strategy. If they think they wrote the first draft, the corrections or modifications to the plan will seem like an afterthought when they are, in fact, the main event. Anyway, whether you choose leadership or leading passively, what someone close to you wants to know is that you are listening. And if you happen to slip between the sheets with them, make sure you take off your suit of armor. It is not only dangerous. It gets in the way.